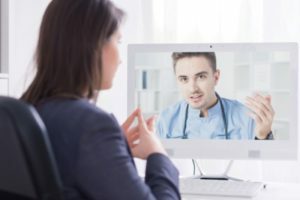 Our genetic counseling service is also available online as telemedicine service (Skype connection or phone number required). The consultation ca be done in English, German or Italian, lasts for 30/45 minutes and costs 140 €. A written and signed report will be sent afterwards. The session can be booked by sending an email to info@bredagenetics.com or by using the booking form below. The service is available worldwide, except for US and Canadian residents. Cancellation/refund is possible up to 24 hours before the session starts. A home address is required for invoicing. Please give street name, town, ZIP code, and country of residence. Please note that counselling by phone is available only for European countries. Counselling requests from all other regions requires Skype. Please give here a brief summary of the clinical case, so to help us preparing for the counselling. Please note that the counseling will be performed at the Italian time (Rome; GMT+1). In accordance with the Italian legislative decree n. 196 of 30/06/2003, I hereby declare to have read the privacy protection protocol and I authorize you to process my personal data for the purposes of this counseling service. By clicking Submit below you'll be redirected to the payment page (PayPal). Once the payment is completed, you will receive a confirmation email containing the Skype connection details.